As a professional traveller and photographer, my gear matters a lot to me. 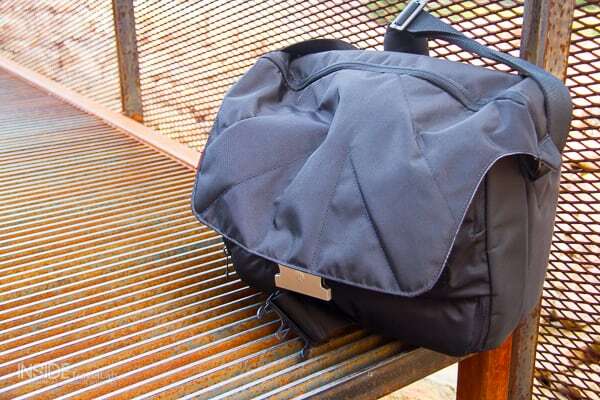 This Manfrotto Camera Bag Review of the UNICA V Messenger forms part of that work. If you buy through a link on this page then I will earn some small commission at no cost to you. However, as with all our reviews, we write what we really think. And only recommend products we really like and that we think you’ll find useful. Onwards! What do you need in a travel camera bag? And it’s a tough set of criteria to match. A few years ago, I finally gave up on the idea of one bag = all circumstances. If shoes and coats can’t transition from black tie events and hiking through ice and snow then why should a bag? Together with my laptop, my camera’s one of the most expensive pieces of equipment I haul around and yet I also need to get it to it quick. I need fast access, I need protection from the wind, rain, fog, snow and sweat from backstage at a rock concert or dust from the hot sands of Africa… and I need to look credible. I also need not to break my back. Now, most photography bags (and indeed perhaps most pro photographers) look like buffed up marines just back from Afghanistan. I, dear reader, do not. So I also need the gear to be as light and skeleton protecting as possible. As I said at the start, a lot to consider. So, let’s see how the Unica V Messenger from Manfrotto performed on the testing range. First of all, it gets the basics right: it protects the camera. There’s a separate, zipped compartment for smaller items like spare batteries, flash cards, phone, wallet, keys, hotel cards and business cards which I really appreciate as I know that they won’t fall out with all the other action going on. 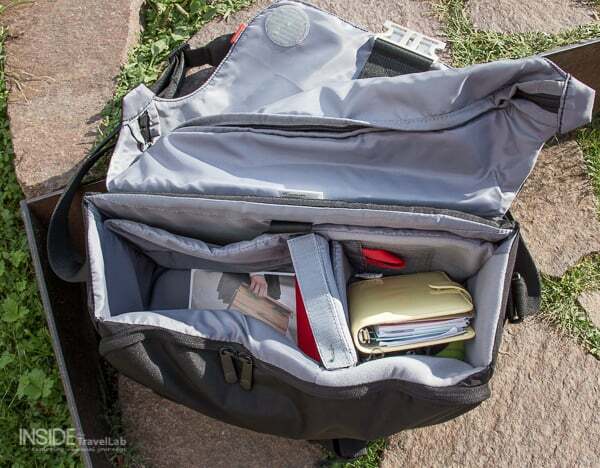 The bag opens in the standard messenger way to allow you to have complete access to your stuff but it also has a quick access zip along the top. This is perfect for travel photography when the right moment can come and go in a matter of seconds. There’s another section at the base for a tripod but to be honest, I found myself using this for jumpers, coats, scarves and water bottles more than I used it for the tripod. Finally, there’s a padded section for a small laptop, another handy feature for travel photography as you can’t always wait until you get back to your main computer at home. This bag has one of the best straps I’ve seen. Who cares about a strap? Someone who spends far too long lugging around kit, that’s who. It’s padded and webbed as many are but this one does protect your shoulder and rarely slips out of place. Top marks there. Where the travel aspect doesn’t work out quite so well is the issue of size. It’s not quite big enough to fit in the essentials for hand luggage during a flight. But, it doesn’t fold down to fit into a suitcase either. Conundrum. As a final nifty part, there’s a handy zipped pocket on the back for passports, tickets, boarding cards and the like. I wish more bags had these. Smart, black, inoffensive. I’d prefer a more exciting range of colours myself (not too wild so that I can still blend in where possible) – but the style side of thing depends on your job. 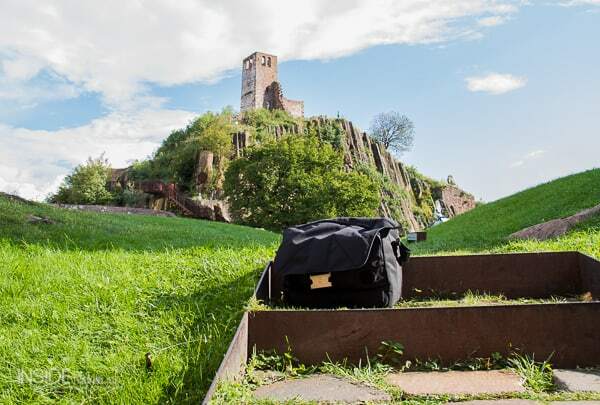 Excellent travel photography bag for road trips, boat trips and train journeys. Some limitations for flying. Find the full specs here. Disclosure – I received a complimentary Unica V Messenger Bag for review purposes. As ever, as always, I write what I like here. Otherwise there’s just no point. Oooh I love Manfrotto products. Will have to try this one out. Yep – great if you don’t need to fly! Thanks Abigail for sharing this piece of information. I and my friends often set out to some place, near or far, whenever we can. So a camera is a necessity. I would love to try the Unica V Messenger camera bag. If you can then kindly lemme know the budget required for purchasing one like this. Thanks!